We exist to gather, equip and unleash the next generation of women to live out their purpose. This February 7-8 is our first ever gathering. 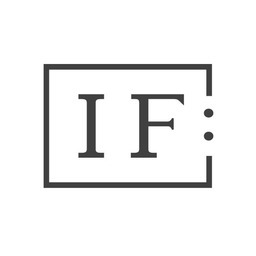 IF:Austin is the official gathering at Austin Music Hall. It is sold out, but our true hope is that you would join a larger gathering of women all across the country by getting together with women in your community to watch the live webcast. We're calling it IF:Local. Learn more about IF:Local and learn more about our heart beat to use women, in unity, to bring hope and healing to a world in desperation. We want God to tear down walls and to bring people together through authentic humility and vulnerability. That is our heart, and we know that one or two physical gatherings is not the vehicle to accomplish our goal. It is going to take a diverse group of brave women bringing other women together to accomplish this. Pray with us that God will call out these leaders and build a restlessness in our generation for unity in our time. This bigger vision is even more expensive than before, and we need each of you to consider taking the next step and supporting our vision of gathering, equipping and unleashing women in this country and around the globe. If this resonates with you, please consider giving to IF : Gathering. We are a registered non-profit in the state of Texas, currently seeking 501(c)3 status. All donations will go towards the cost of the gathering. And once bills are paid and we raise more than we need, we will fund projects empowering women around the world. Giving here does not register you to attend IF:Austin or IF:Local. If you are looking to register for a gathering, visit our website: http://www.ifgathering.com/register.